Here is my Fi-103 (Vergeltungswaffe 1) partsheet. I guess it could be used for AU-Navys. Its ramp is derived from the original ca. 48meter ramp. The tanks and the workshop is also necesarry for V-1 usage. One Tank stores the fuel, commonly kerosin or simple otto-fuel, the other one contains O2 as oxidator. The workshop is for used for Gyroscope adjustment! 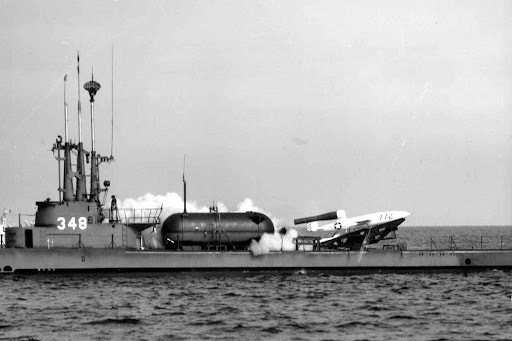 The nearly identical Loon missile was launched from ships and submarines with a simple rocket booster! Coincidentally cruise missiles were fired from small destroyers in the 1920s so the possibility of shrinking down the launch system to a simple explosive catapult would be obvious!